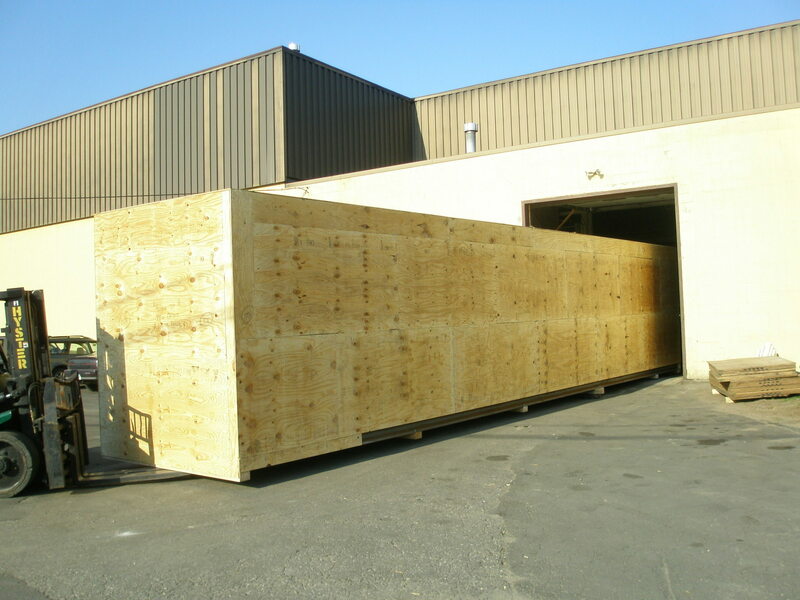 Our crating company has been designing, building and packing custom crates for industrial equipment for over 50 years. The experienced builders and designers at Mariano Brothers will work to build a crate to protect your machinery for a one-time trip or for its endless travels. We will work with you to select the best wrapping and packing materials based upon the finish of your piece. Our first and foremost concern is the protection of your equipment. We can work to provide the most safety for a piece in an economical way, without sacrificing quality or protection. At Mariano Brothers, we create custom crates that serve customers both throughout the United States and internationally. To discuss your next machinery moving project, get in touch with our crating company today! Mariano Brothers is certified by the American Lumbar Standard Committee for using only heat-treated bug-free lumber, in compliance with the International Heat Treatment Standards. The European Union has deployed these regulations to reduce the risks of introduction and/or spreading of pest associated with non-manufactured wood packing materials (pallets, crates, boxes, etc) used in the transport of commodities in international trade. Any crated object being exported to an EU country must have heat treatment stamps. 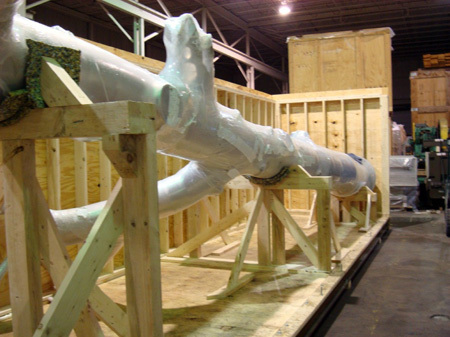 Check out some of the photos below to view our crating for pharmaceutical packaging machinery. Mariano Brothers created and built these custom crates. Once the machinery is safely inside, the crates are ready for shipment! With so many years of experience, our crating company is able to build the perfect custom crate for your piece. We will ensure your machinery moving goes as smoothly as possible. Contact Mariano Brothers today!